In this excellent study of Karl Marx's thought, Cyril Smith takes a long and winding route that starts with classical world thought. When he arrives at the door to Marx's pantheon we see that, with the significant yet largely overlooked example of Spinoza, most thinkers―and especially Western ones―are opposed to essential aspects of democracy. In Marx and the Future of the Human Cyril Smith explains that Karl Marx, more than any other thinker, is misrepresented by what has come to be understood as 'Marxism.' Marxism has developed into, among other things, a method for analyzing capitalism, a way of looking at history, and a way to theorize the role of the working class in a future society. Marx, however, speaks about a conception of human life that was absent during his lifetime and remains absent today. Marx sought 'the alteration of humans on a mass scale:' economics, politics, daily lived-life, and spiritual life. In discussing Marx and spirituality, Cyril Smith relates Marx to the thought of William Blake. Someone coming to Marx for the first time as well as the seasoned scholar can read this book. 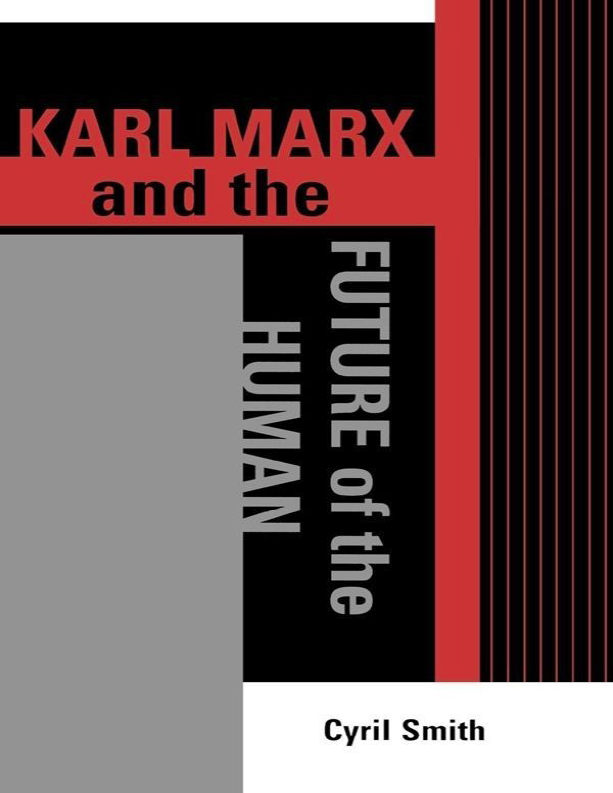 Marx and the Future of the Human is a book rife with thoughtful and creative connections written by someone who has spent most of his life close to the spirit of Karl Marx's thought. I haven't been able to see part number 1. Looks like there is some kind of problem with it. How long this will be available, I don't know. Presumably his daughter has kept it available. I am looking for parts 10 and 11 which are in the printed version - any ideas anyone? Thanks. I've taken a copy of Chapter 1 from cix.co.uk and replaced the corrupted/empty version here. More food for thought, definitely still worth reading though the quality is patchy.